In an interview to Lianhe Zaobao on his 30 years in politics, Minister for Law and Home Affairs K Shanmugam, has explained why he took 6-hours to grill historian Dr Thum PingTjin at the Parliamentary Select Committee on Deliberate Online Falsehoods. 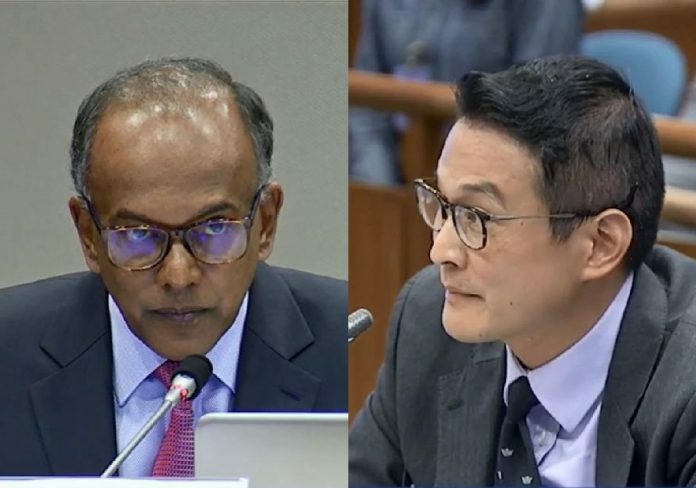 Shanmugam and Thum were embroiled in a heated exchange over Operation Coldstore and the Hock Lee bus riots, when he appeared before the Select Committeeon the final day of hearings on March 29 to deliver his testimony. The Minister grilled Dr Thum on his views on a variety of issues, besides questioning Dr Thum’s suggestion that there are no examples of fake news which have had a major impact on Singapore offline, with one exception. Pointing to detentions made under the Internal Security Act between 1963 and 1987, such as Operation Coldstore and Operation Spectrum, as examples of this, the historian said that such detentions were made for political reasons rather than security concerns, according to recently declassified documents. The Law Minister spoke at length about Operation Coldstore and the activities of the Communist Party of Malaya (CPM), explaining that he is examining the evidence for these because they were cited in Dr Thum’s submission even though the Committee was not convened to examine these events. In the extensive questioning that followed, the Minister pointed to a number of points Dr Thum had made in a paper he wrote while he was at the Asia Research Institute (ARI), particularly two telegrams from the UK Commissioner to Singapore Lord Selkirk in December 1962 that the historian had cited in his paper, detailing the action that could be taken against the communist threat. Shanmugam took issue with Dr Thum’s opinion that the notes he had cited show that there was no communist conspiracy in Singapore. 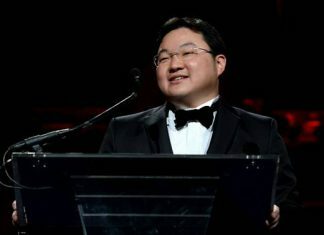 Dr Thum responded that while there were individuals who were communists in Singapore, there was no conspiracy: “There is no evidence in the Special Branch documents … that the detainees of Operation Coldstore were involved in any communist conspiracy to subvert and overthrow the government”. “The ultimate Marxist-Leninist aims of having a united front organisation that would infiltrate a variety of trade unions, middle schools (and) political parties on the road to struggle was completely in place. Operational difficulties meant that on specific occasions there were no instructions given for specific actions … the cadres took on themselves to go and do a lot. The two also crossed swords on the reliability of various historical sources and documents besides disagreeing on the definition of a “communist united front”, bringing up historical records in their exchange. “You agreed that looking at it, you should have reworded it (parts of the paper) … really ought to have been more accurate. After the Select Committee hearing, Mr Shanmugam was criticised for how he grilled Dr Thum. In speaking to Lianhe Zaobao on the topic, Mr Shanmugam said that the time he took to grill Dr Thum is “worth it”. [ 30 years in Politics – Zaobao Interview ]I gave an interview to Lianhe Zaobao 联合早报 on my 30 years in politics…. “I’m seen as this elite, aggressive lawyer, and so of course the image does not play well. But I think it is better in the long run for everybody to understand that we have got to be honest in Parliament. I know that it sometimes comes across that way. I am tough. I speak my mind. But I think there is value in speaking your mind and being what you are. And I don’t want to pretend to be otherwise. If I think something is wrong, I want to call it out. And I think it is better for democracy. There are people who don’t like it. I must give some weight to it. I think. But, in the end I think a lot more is lost if you just make believe and pretend. And allow things to be said which are untrue. See, if you have a point of view (and) if you want to say it (and) you come before me, I’m going to question you. He (Thum PingTjin) is the expert. I’m not the expert in the field. Why can’t he answer the questions? I spend maybe two days looking up the books. I spent one day reading all the material. Another day looking up everything he (Thum) has written. Two days, including preparing my questions. He spent his lifetime researching. Why can’t he answer? If you can justify what you said, then how can you be bullied? Every question you have an answer, right? You come, you don’t say anything about any of this. You don’t say anything about the problems. You say there is only one problem – one man who created all of these problems, and that is LKY (Lee Kuan Yew). I’m going to let it go? Why won’t I let it go? And this is the personal part, see I was born in 1959, 2 months later LKY won. 1959 May, I was born in March. My parents were not well connected. We are nobodies. We lived in rental flats and so on. And I am a minority – in fact a minority in a minority. I would say, at a very deeply, personal level, everything I have, I will put it to the system.I get very emotional when I think about this each time, even now. A broader reason would be, you are a revisionist historian. You are entitled to your viewpoints. If you put them up, I am entitled to question you and deconstruct. Is that a good use of the time? I think it is an excellent use of the time because in future when people debate the history of Singapore, there will be the viewpoint that LKY put forward and a group of historians have put forward, and there will be a viewpoint that Thum puts forward. There are others like Thum. Anybody who does this research and looks at Thum’s work, will also read the transcript. And when they read the transcripts they will then assess for themselves whether his views are credible or not credible. And that goes to the fundamental record of the history of Singapore. So is 6 hours (grilling of Thum) worth it? You decide. I think it is worth it.